eEuroFest 2018 has come to a close! We'd like to thank everyone who came out on Friday/Saturday and of course all of our sponsors for their support. If you haven't heard, eEuroFest is New Englandâ€™s premier European auto event. 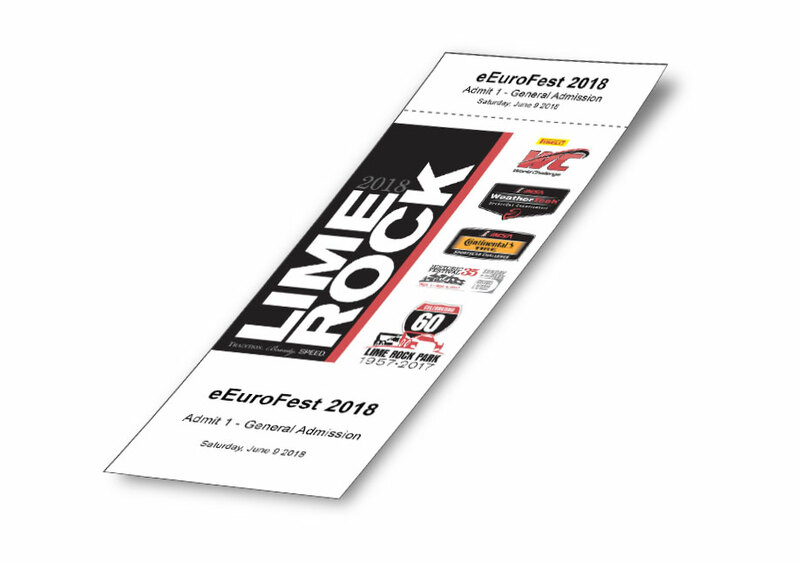 Hosted by eEuroparts.com at historic Lime Rock Park, eEuroFest combines a car show, autocross, track day, and manufacturer expo into one huge European car festival. Join thousands of like-minded enthusiasts for a day of fast fun at eEuroFest on Saturday, June 8th, 2019! Additionally participate in our VIP program that includes an exclusive preview day on Friday, June 7th, 2019! The VIP package is how eEuroFest is meant to be experienced. eEuroFest VIPs get access to an entire bonus day of track activities on Friday before the main event kicks off on Saturday. 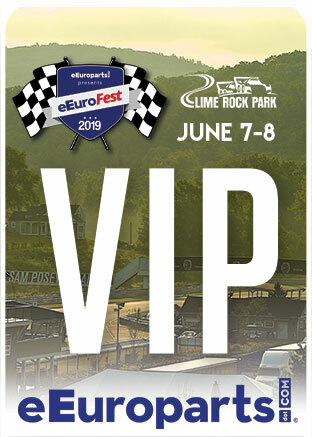 VIPs will have exclusive access to Lime Rock Park™'s premium mile long autocross course, designed to let you test the limits of your vehicle without requiring in-car instructor supervision. After a long day of tearing around all the asphalt Lime Rock Park has to offer, you'll be hungry, which is why your VIP pass includes a catered lunch and dinner on Friday, as well as a continental breakfast and another lunch on Saturday. 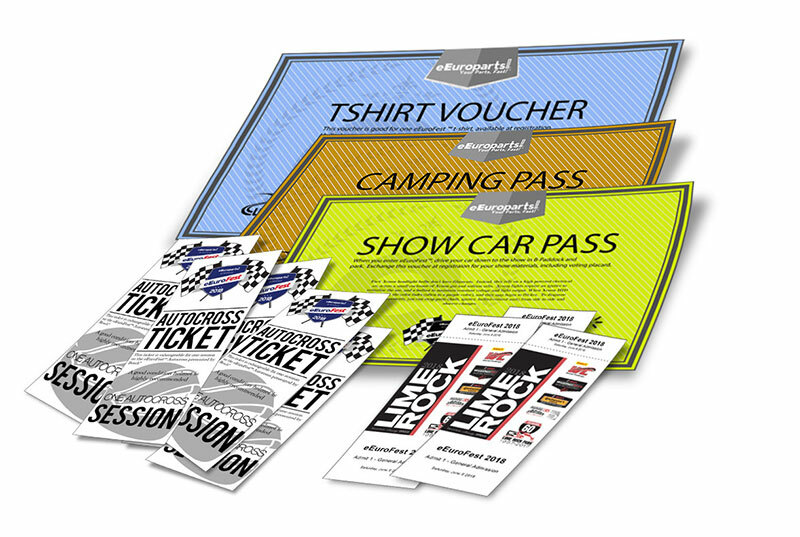 Lime Rock Park also offers a beautiful camping area, so naturally a VIP pass includes two nights of camping on Thursday and Friday. Or check out one the recommended local accommodations. 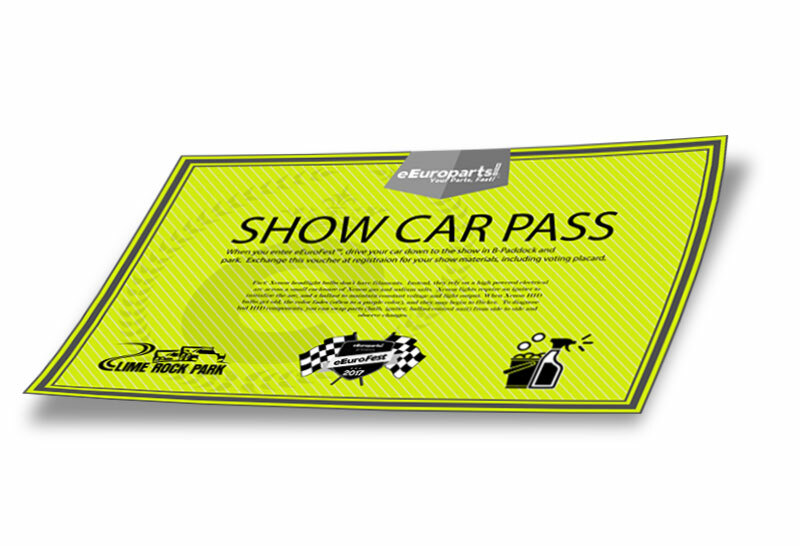 Your VIP pass also allows you to use our Autocross VIP fast-lane on Saturday. The autocross queue can get fairly long on Saturday as hundreds of additional autocrossers line up to tear up the track. Your VIP badge is a fast pass to the front. Lime Rock also features an exclusive VIP chalet with fantastic views of the main track and the surrounding foliage. The VIP chalet is naturally VIP only and will be air conditioned and stocked with snacks, water, and private bathrooms. Last but not least, as a VIP you'll also get an eEuroFest t-shirt to prove you were there. General Admission grants entry into eEuroFest. A Car Show Pass permits one entry into the Car Show, which welcomes all makes, models, and conditions, and will award prizes in several categories. 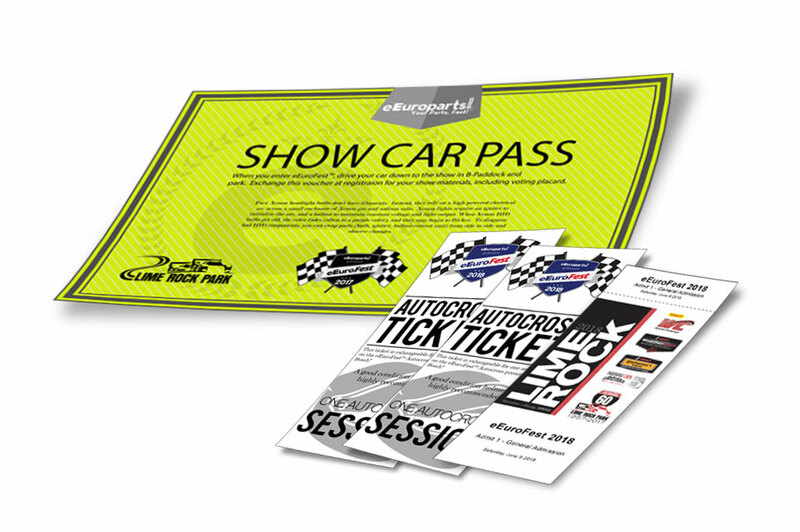 An Autocross Ticket lets you experience a session out on Lime Rock Parks thrilling autocross track, and with the Enthusiast package youll get to go twice! Additional tickets and passes will be available for purchase at eEuroFest. All European makes, models, and conditions are welcome. If you love it, we love it. We do not discriminate, and we don't want to see any European cars in the general admission parking lot! The Car Show Pass grants one (1) car entrance into eEuroFest™'s Car Show. General Admission not included with purchase. Additional Car Show Passes can be purchased with cash or credit at eEuroFest. eEuroFest is New England's European auto event of the summer. Join a car show that features everything from the best European automobiles in the region to battle hardened daily drivers. Get up to speed on the Lime Rock main course, or vie for bragging rights on the autocross track. Take a virtual lap around the main track in an immersive racing simulator, or simply take in the sights and sounds (and food) of eEuroFest 2019. General Admission gets you through the gate and to a parking spot in the general admission area (although we prefer you enter the Car Show). Other event access sold separately. Children under the age of 16 and uniformed military are free to enter. Additional tickets and passes can be purchased with cash or credit at the gate. Camping is included with any advance GA ticket purchase. The eEuroFestivities start early Saturday morning. If you don’t want to drive out to the beautiful (and more importantly, remote) Lime Rock Park at sunrise, consider camping Friday night. The campground will be open "in the pines", meaning you’ll be staying in the heart of Lime Rock’s forested infield. Permanent bathrooms are on site. Back by popular demand, the swap meet will offer a huge area of rare and used car parts, as well as a variety of other European Auto related goodies. Bring cash or parts to trade, or clean out your garage and set up shop at eEuroFest™. Have a lot of stuff to sell? We've got the space. Have a truck load of MK3 VW parts, or a hundred Saab wheels? Bring 'em down!